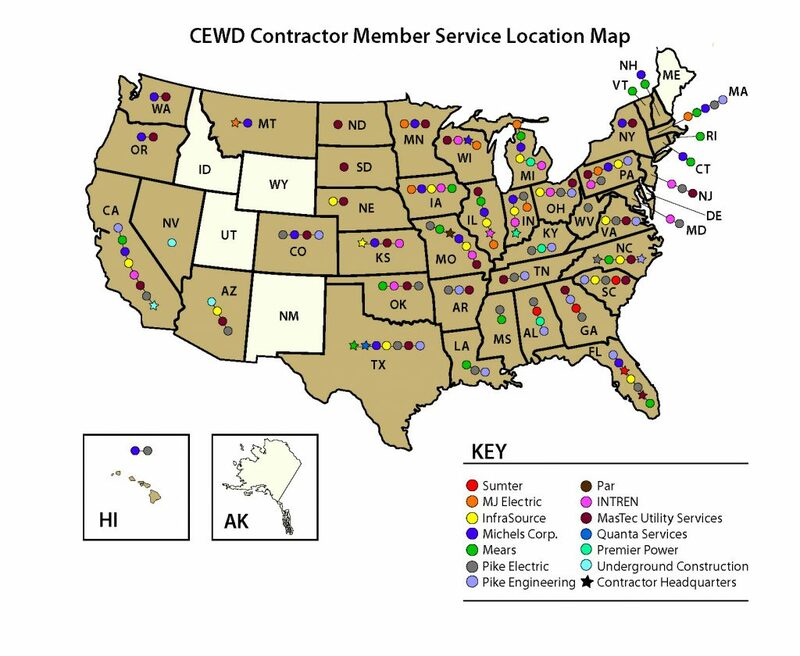 Some of the largest and most geographically diverse utility contracting companies in the country are members of CEWD. Why? Because the workforce challenges faced by many energy companies are shared equally by their contractor partners. And as the industry’s reliance on contract workers grows, the pressure to attract, hire, and retain a qualified and diverse workforce has never been greater–for both the contractors and their customers. But CEWD is working with its contractor members to develop solutions for their unique workforce challenges. Through membership in CEWD and engagement in State Energy Workforce Consortia, they are partnering with their customers to define work requirements, consolidate labor demand data, and co-sponsor career awareness events aimed at growing the collective energy workforce. To learn more about how CEWD is supporting its contractor members and goals for 2019, click here. For more information about the benefits of joining CEWD and whether your company is eligible for membership, click here.